This discount priced Deluxe Casino Dealer Visor with Elastic Headband is adult sized, having a 3 inch wide visor, giving your dealer that certain air of authenticity. These dealer visors add the finishing touches to your casino party! 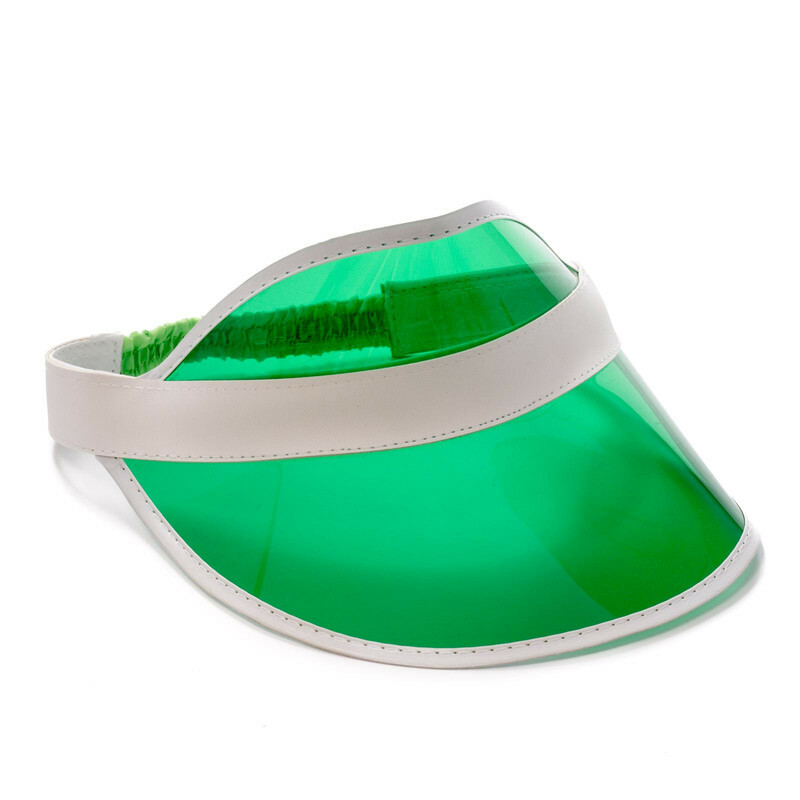 This casino dealer visor is made of a green celluloid material with a white heavy duty trim. All of your dealers and food servers can wear these dealer visors to make your party look and feel like a real casino. This visor is adjusts with an elastic band to fit most adults and has a cotton front section acting as a perspiration guard, needed if using for sports like tennis.